Deodorant: why natural is better and how to make your own! Before you roll your nose up at the idea of making your own deodorant, let me tell you that is exactly how I was about a year ago. So what changed? Why would I want to make my own deodorant anyway? Well… the first thing was that I became increasingly interested in what ingredients go into beauty products. I learned that some of the ingredients used in regular products are not good. And when I say ‘not good’, we’re talking carcinogens, neurotoxins, irritants, even pesticides. Conventional anti-perspirant deodorants (the kind you buy in chemists, supermarkets and beauty stores) contain, among other things, aluminium salts. These have been linked to breast cancer. There is a LOT of info about this on the web; studies have been carried out that ‘prove’ they do with just as many that ‘prove’ they don’t. Whilst the verdict is still out, why take the risk? The second thing that made me want to stop using conventional deodorant was learning about the way aluminium salts work. Aluminium salts are what makes a deodorant ‘anti-perspirant’, and they work by blocking the pores, or more specifically the sweat ducts. Sweat is still produced by the sweat ducts, but it cannot escape. Sweating is a natural process that has two useful functions – it regulates our body temperature by cooling us down, and also allows us to excrete toxins. (The skin is an excretory organ.) If we’re blocking our sweat ducts, then the toxins cannot be released, so where are they going? My view is, that if the body was designed to allow us to sweat, it’s probably best to let it do it’s thing. These two reasons were enough to convince me to stop using conventional deodorant. However, I had mixed results with store-bought natural deodorants. They are often expensive, almost always come in plastic packaging, and I would say half of the ones I’ve tried don’t actually work. Let’s face it, the reason we use deodorant is to prevent ourselves from smelling bad. I’m willing to give up aluminium salts, but only if I’m exchanging it with something that will actually work. Natural and useless has no appeal. So not being completely satisfied with the natural products on the market, I contemplated the concept of making my own. But what actually convinced me to make my own deodorant was meeting other people who made their own deodorant…and didn’t smell! For me that was the final reassurance I needed to jump in and give it a go! This is a really simple recipe that only requires 3 ingredients and will take you about 5 minutes. What’s even better is that the ingredients are cheap, being things that you’d find in your grocery cupboard and are all safe enough to eat! Makes enough to fill a small jar. Effective enough to last all day without reapplying! 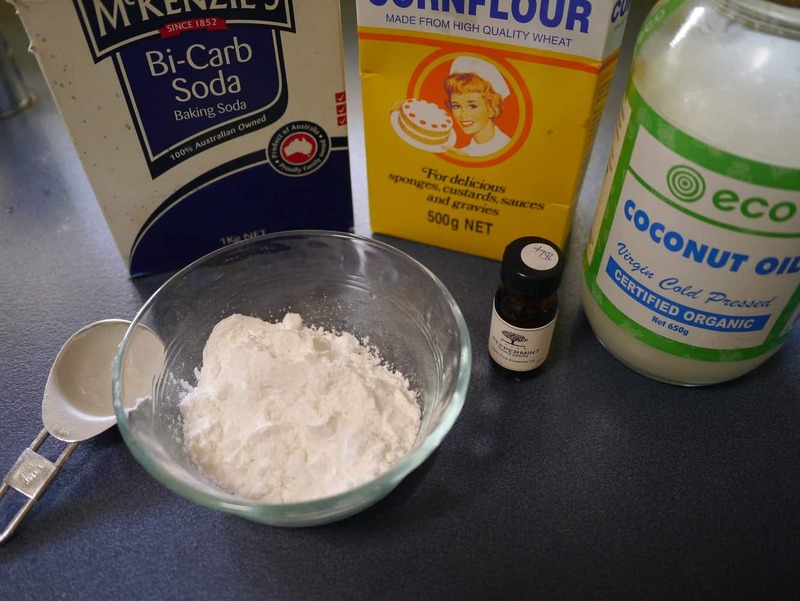 Mix bicarb soda and cornflour together in a bowl. Stir to form a paste. This looks runny because I had to warm my coconut oil slightly to melt it. As it cools it will stiffen to form a paste. Pour into a clean jar. Apply a small amount with fingertips to underarms and rub in well. I keep mine in the bathroom, where usually it maintains a good consistency. If the day is particularly hot and the deodorant completely liquifies, stir with a clean teaspoon and put in the fridge to harden. If it is too stiff, put the container in a bowl of warm water to soften. Some people are sensitive to bicarb soda. My boyfriend has particularly sensitive skin and so I use the ratio 1:6 bicarb to cornflour. I tried the ratio 1:8 but found it was only effective for 6 or so hours after applying. I have also made it for myself using 1:4 with no problems, and I know people who use 1:1. Everyone is different, so if you find my recipe doesn’t work for you, try tweaking it by adding more bicarb. The amount of coconut oil you need will depend on the temperature of your house. I use less in summer and more in winter because our bathroom temperature fluctuates to maintain the same consistency. 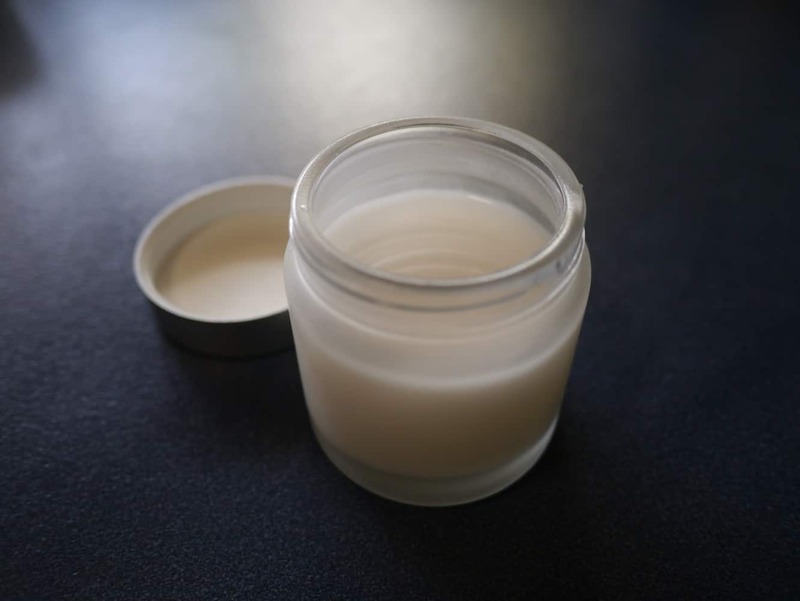 26 Responses to Deodorant: why natural is better and how to make your own! I will definately be trying this out! Nice to see it can be made easily. How long can it last for once made? The great thing about coconut oil is that because it’s high in saturated fat, it is resistant to spoilage. I have read that refined coconut oil will last 18 months and virgin coconut oil will last several years! The last batch of this deodorant I made lasted 3 months before I used it up, and was still fine, so you should find it lasts for a pretty long time. Agreed – Natural IS better! I may experiment with this recipe, but I really love the deodorant I am using now – Lavilin. Amazing all-natural product that comes as both a cream and a roll-on. They have a foot cream too which I like to use. Works really well! Thanks for your comment! There are some great products out there for sale – the main issue I had was finding them in plastic-free packaging. 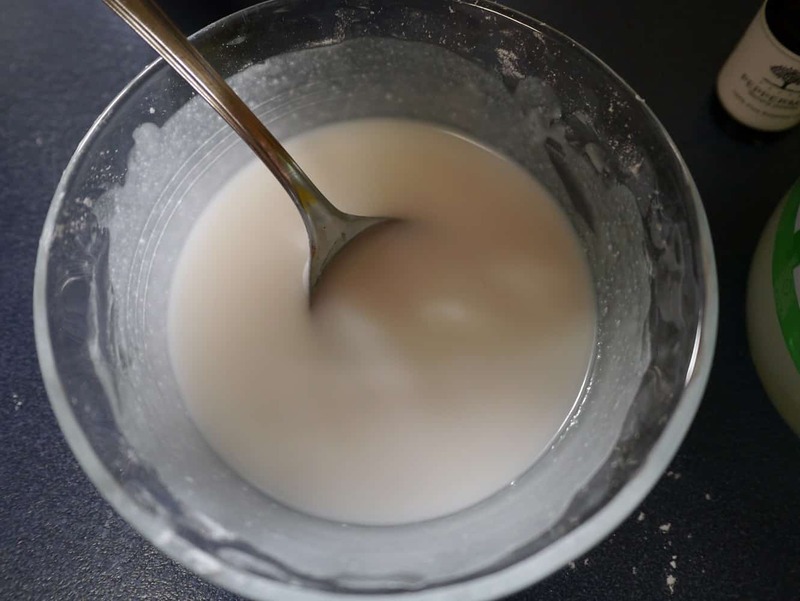 Now I make my own I don’t think I’d ever buy deodorant again – it’s so cheap to make and also works better than all the natural ones I’ve ever tried. If I found a plastic-free brand i might give it a try though; I think it’s great to support companies that are really striving to reduce their packaging impact as best I can. Thanks for sharing this one! I’ll definitely try this one. I tend to sweat a lot and really easilly, even during winter. Deodorant is the no.1 must-have cosmetic for me. Hi, I’m glad to fin a recipe for natural deodorant but I wonder : doesn’t the oil leave a trace on your clothes? That’s an interesting question! I guess in theory it would, but you’re only using a tiny amount, and sweat itself has oil in it. It’s not a problem I’ve ever had, or needed to think about…! so, this just prevents smell – what about big wet patches under your arms – that’s what I can’t seem to get past and it’s why i haven’t made my own yet but I feel I’m not doing myself any good every time I roll on my mitchums antipersperant. I would say in winter this isn’t an issue. In summer I try to wear loose fitting clothing if it’s really hot (or loose around the armpits at least), and avoid colours that show up wet patches – like light grey – terrible choice! But mostly, it’s something I can live with. It depends how much you sweat, how self-conscious you are and where you’ll be/what you’ll be doing: if you have a job where these things matter it’s different to if you’re at home or working in the fields! I’d say give it a go, and see if it works for you. You could always keep the Mitchums for “special” occasions and use the homemade stuff for when it doesn’t matter – or use homemade in winter and antiperspirant in summer? Ah, it’s a pleasure! I was super skeptical too, until I tried it and realised it worked! Plus I can’t run out as I always have bicarb at home – another bonus! I really hope you give it a go. Please come and report back if you do – it’s always good to hear there’s another convert (! ), but if you don’t like it then that’s good to know too. That was a great post! Exactly what I needed to get going on making my own. Pictures tell a thousand words don’t they! Thanks for all the help with this one, now I am confident enough to make my own. Hi Huia…you could try tapioca flour if you had that? I’m guessing you don’t have potato or rice flour either? You could just try neat bicarb but it would be very alkaline so I prefer to mix with cornflour, but if you don’t have sensitive skin it might work? Hi Lindsay, I know this post is kinda old but I’m trawling your site for ideas as I’ve decided to go plastic free this year then ultimately waste free. My question is where did you get the little glass pot you put the deodorant in? Is it a recycled babyfood jar or something or new from somewhere? If so, where did you buy it? Thanks in advance. I use this deodorant religiously and absolutely love it but the only thing I’ve now noticed after using it for a couple of months is my clothes are staining. I sent you an email but then found this blog so thought I’d post here. Any thoughts on avoiding the staining and also removing the stains – I’d hate to have to throw out these tops. Thanks so much – you are an inspiration. Forgive me butting in on your conversation but I found this item on ebay. It’s simply an undershirt with extra cotton sewn under the armpits.